Protecting people, property & your possessions. A full maintenance call out to assess the health of your system and the functionality of your devices. A replacement intruder alarm battery. A brand new intruder alarm bell box & LED flasher. This offer is subject to a 3 year maintenance agreement and covers professionally installed systems only. 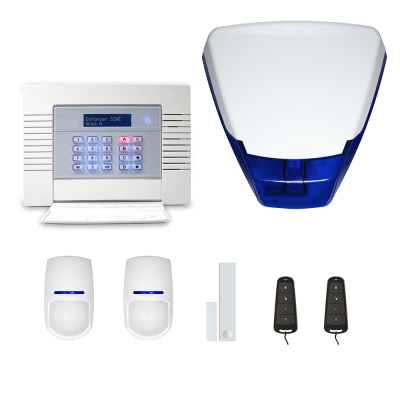 Commercial and residential alarm systems are becoming more popular in this current day and age. An intruder alarm system is an extremely effective way to maximise the security of your premises and is a requirement to ensure the validity of some commercial insurance policies. As soon as these systems have been activated, the bells will sound by omitting an audible siren which will act as a deterrent. These are not linked to an Alarm Receiving Centre, so will not send a further signal. When a monitored system is activated, a signal will be received to our team in our designated control room via an Alarm Receiving Centre. From here we can investigate the situation and take the necessary action as required. Wireless systems are very cost effective and are sought after in domestic properties, making them ideal to secure your home. They are quick to install due to no cabling being required and can also be programmed to contact either you or our control room in the event of an activation (via a phone call or a push notification). 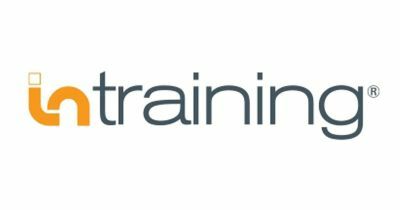 We are able to work with a variety of commercial & residential properties, ensuring that the correct system is professionally installed to your exact requirements. Maintenance agreements are offered on all installations. These ensure that your system will continue to stay in good health and will give you a priority response should a fault occur on your system. What benefits do you get for having a maintenance contract? What is carried out on a maintenance visit? 1) On your first visit we will: Replace your existing bell box with a brand new Security Solutions one, replace your old battery in your panel and carry out a comprehensive technical service of your system. A service sheet will be provided with any advisory/remedial actions required. 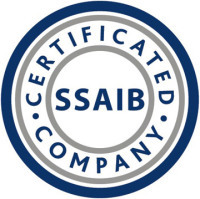 2) We will also issue you with a certificate as proof of service that has been completed by a professional SSAIB accredited company. 3) If a minor fault is found whilst the service is being carried out this will be rectified with the labour cost being FOC and a 20% discount applied for any materials required. Access Control systems are extremely versatile and can be tailored to your specific requirements. Whether you are looking to keep a simple log of entry and exit times for personnel or if you are looking to place an access restriction to specific areas of a premises at certain times, we have the ideal solution for your needs. Access can be monitored and controlled via a dedicated station or through multiple stations throughout the building. With the ability to lock down separate areas of your premises at different times, you can grant levels of access to suit your requirements and trigger alarms accordingly for any unauthorised access. Key fobs & proximity cards can also be programmed to grant access. Each individual fob can be set different levels of access, dependant on requirements. With a biometric system, access can be only be obtained by the successful recognition of a finger or thumbprint. Finger and thumbprints can be allocated to individuals, enabling you to see and trace the specific locations that they have accessed, as well as the time that they have accessed these. Automatic gates have the dual purpose of giving your property extra security whilst also acting as a deterrent against would be intruders. 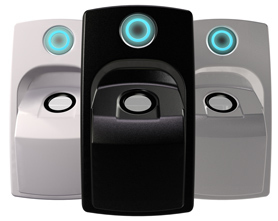 Automatic gates can be installed either with a keypad interface or with a wireless key-fob, ensuring the smoothest possible operation for your requirements. Both of these system types can be installed, maintained and monitored by SSY. We install both high and low voltage gates, including sizes between 3.5m to 6m per wing. We are able to supply & install a variety of automatic gates including: electric sliding gates, manual sliding gates, standard swing gates and wheel driven gates. Automatic gates are often accompanied by CCTV installation to enable the specified entrance to be monitored. This further enhances security and allows for a quicker keyholder and police response if any untoward activity is spotted. Security lights are an extremely effective deterrent to would-be burglars, and when combined with the right alarm system, can keep break-in attempts to a minimum. 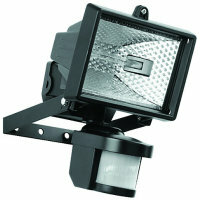 Security Lights illuminate large areas and disturb intruders once activated. The majority of security lights use PIR motion activation technology and are especially effective when used with intruder alarms. Emergency lighting is used to ensure that a continuous supply of light is provided after an eventuality where the main power source to the lighting fails. 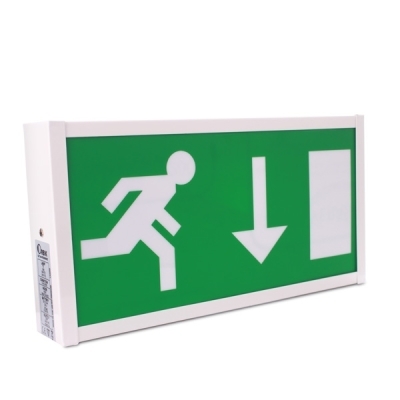 This enables safe evacuation as the 'EXIT' lights that are situated above the fire escapes will also continue to function in this instance.